Kelly Moran is an intriguing composer and pianist from New York, who has appeared in a number of bands and projects before setting out on her own. She was the bass guitarist for no wave fiends Cellular Chaos as well as the synthesizer maestro for avant-rock act Voice Coils. She has also been a part of the experimental Charlie Looker Ensemble, and she has worked with frequent John Cage collaborator Margaret Leng-Tan, as well as the Manhattan Choral Ensemble and the Yarn/Wire percussion quartet. 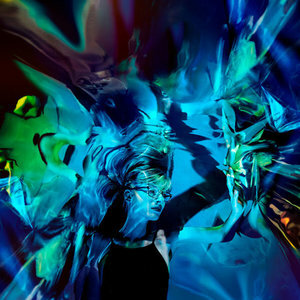 The range of her projects and varied background of her collaborators display Moran's expansive vision, something that she further explores with her solo work. So far Moran has released two records under her name, her self-released debut Optimist and her Telegraph Harp debut Bloodroot. Her sophomore record in particular displayed the depth of Moran's compositional aptitude and grasp on experimental music. In essence the record performed a decomposition of experimental music from its esoteric perspective, forcing a more direct and soulful quality to rise to the surface. Ultraviolet, Moran's debut for Warp, now extends the composer's visions to new dimensions. Still, the foundations of this new work still rely on some of the qualities displayed in Bloodroot. Moran's sophomore record showcased an uncanny ability for structuring soundscapes and creating these sonic constructs, ambient structures. This ethereal result was a result of both the music progression but also of her intricate approach towards sonic textures. The ambient sense of Ultraviolet is even more prevalent, with the record kicking off in a very smooth manner with "Autowave", slowly constructing this magical realm through the use of delicate melodies. "Water Music" is another instance where this approach comes forth, starting from simple and sparse beginnings to create a very potent result. This atmospheric aspect is not fulfilled solely through Moran's piano, but also through her excellent application of sonic manipulation on top of her main instrument. The audio effects on the background of "Autowave" build tension, producing a more ominous tone underneath the more majestic piano lines. The closing track of the record, "Radian" also showcases that side of Moran in full effect, as she crafts an intricate world mainly through the creative use of effects on top of the piano notes. The switch from Bloodroot for Moran comes in the manner in which she approaches her playing style. In her previous record, she dived into space first explored by the likes of John Cage, producing an intriguing ride through the experimental capabilities of the piano. But, the exercise with Ultraviolet is different, with the record becoming a melting pot where improvisation and structure can co-exist. That is especially effective when the minimalistic side of Moran meets with her improvisational tendencies. "Helix" is an example of that quality with the abstract progression creating a vortex of entropic melodies. The result is both mystical and ethereal, while the use of subtle synths in the background produce a more delicate sound. "Nereid" follows a similar trajectory, with the neo-classical side of Moran more pronounced this time around, while still slight improvisational twists join in to make the ride more interesting. Yet there are times when even this categorization into minimalistic or improvisational starts to fade away, and that is a testament to Moran's ability to bridge these different elements and gather them under the same roof. "In Parallel" is such an instance, with the fluidity of Moran's playing crafting a more direct and straightforward characteristic, resulting in one of the more emotive moments of the record. The start of "Halogen" sees a similar perspective come to the surface as Moran distances herself from both the neo-classical aspect and the jazz improv mode to dive into a vague modern composition space. Still, the melodic essence does not carry on throughout the track with a dissonant characteristic being instead injected into the structures. This tactic feels to have a touch of an atmospheric black metal influence, which becomes more and more apparent as the track progresses, resulting in a devilish quality being revealed. Ultraviolet sees Moran attempting to find the place where opposing forces converge. Starting from a minimal perspective, with a solitary piano as the main guide through this journey, she can awaken a pronounced ethereal and light characteristic, but further infuse it with a darker element. "Helix" showcases that mentality brilliantly, with the synths in the latter part colliding with the piano's melodic recital. It is this process of combining darkness and light that make Ultraviolet such an interesting listen, as Moran attempts and succeeds in surpassing the confined spaces of individual genres and practices to create a more holistic work.